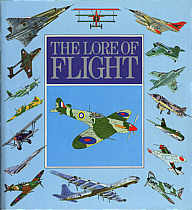 An absolute treasury of aviation lore, from the earliest experiments through the Wright Brothers to modern aircraft, including fixed-wing, rotorcraft and lighter-than-air. This fascinating, beautifully-illustrated book is divided into four main sections covering the historical background of flight; the structure of airplanes, engines and equipment; the technical aspect of flying aircraft of all sizes, from small to transatlantic transports; and an encyclopedia of aviation. Contains 350 illustrations. 426 pages, large-size, hardcover. This book is a one-of-a-kind closeout.